Slice figs and place on a plate. 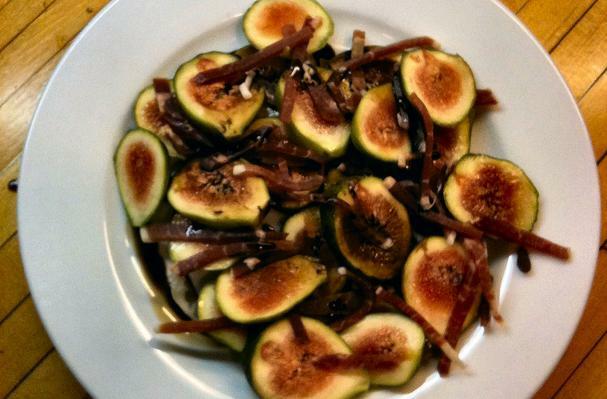 Slice or tear prosciutto into strips and lay onto the sliced figs, and drizzle with good aged balsamic vinegar. Garnish with candied pecans and add fresh ground pepper. This salad is wonderful. Thanks for sharing.